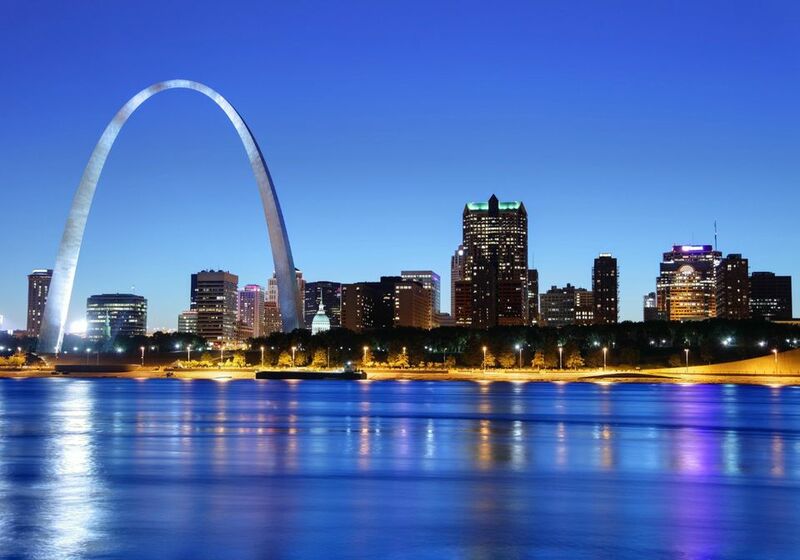 St.Louis offers a nice array of kid-friendly getaways within a day's drive, with possibilities stretching from Illinois to Kentucky. These popular destinations can all be reached in six hours or less. Visit the Abraham Lincoln museum and library, stroll the music city of Memphis or explore a cave in Kentucky. There's plenty to do on a day trip or weekend getaway with your family. Besides being the state capital of Illinois, Springfield is a vibrant community with historic sites, arts, music and more. One of the top attractions is the Abraham Lincoln Presidential Museum and Library, a one-stop history lesson on our 16th President. You can take in a minor league baseball game or tour sites along Route 66 including the famous hot dog on a stick at the Cozy Dog Drive In. Named one of the "10 best places to spend Christmas" by CNN, the town of Santa Claus, Indiana, boasts the only post office offering a "Santa Claus" postmark. Street names include Christmas Boulevard and Mistletoe Drive, and over 20 statues of Santa offer many photo ops. In the off-season, Santa Claus draws families to the Holiday World & Splashin' Safari water park. This popular Ozarks town is known for its live country music shows and a respectable array of fun family attractions, including Silver Dollar City theme park, the Branson Scenic Railway, Titanic Museum, and the Dixie Stampede. First time in Branson? Get oriented with a Segway Tour. It's a unique way to see Branson, and kids love it. There are plenty of fun things to do with kids in Memphis, including visiting the children's museum, zoo, and botanic gardens. The whole family can learn about the fight for equal rights for all Americans at the National Civil Rights Museum and get a primer on Memphis music at the Smithsonian-affiliated Rock ‘n’ Soul Museum. Located a one-hour drive north of Nashville and less than a two-hour drive south of Louisville, the rolling green hills of Kentucky’s Cave Country make for a memorable, quick getaway or a stop on a longer road trip. The Music City is an easy drive from St. Louis, and even if country tunes aren't your family's cup of tea, prepare to be won over by the charm of this Southern hot spot. Nashville also offers a state-of-the-art science center, botanical gardens, and a world-class zoo where kids can scamper over a 14-foot high catwalk to get up close to Masai giraffes. Chicago is a sophisticated city that tweens and teens will love. From shopping and Segway tours to fun on Lake Michigan, the Windy City offers an endless supply of fun. For younger kids age 10 and under, the Chicago Children's Museum at Navy Pier is chock full of engaging, interactive exhibits that are designed to spark imagination and wonder. Don't forget to make time for a quintessential Chicago photo op at "The Bean," the Cloud Gate sculpture at Millennial Park. Family getaways to Milwaukee offer plenty to keep kids busy and feed their imaginations with family-friendly museums, a zoo, and many foodie attractions. A guaranteed highlight for younger kids under age 10 is the Betty Brinn Children's Museum, while older kids will love the 120,000-square-foot Discovery World Center, a science museum brimming with high-tech exhibits that are interactive and educational. The Mother Road runs right through St. Louis, and you can soak up iconic sights of vintage Americana driving west from St. Louis to Tulsa, Oklahoma in a day. Along with way you'll pass such classic Route 66 sites as the Big Chief Restaurant in Wildwood, MO; Wagon Wheel Motel in Cuba, MO; Gillioz Theater in Springfield, MO; 66 Drive-In Theater in Carthage, MO; the historic Route 66 historic district in Galena, KS; and Ed Galloway's Totem Pole Park in Chelsea, OK.